The Gallery Sri Parvati on Eldams Road hosted ‘Da Sa Ra with music’ between September 23 and October 3, 2014. 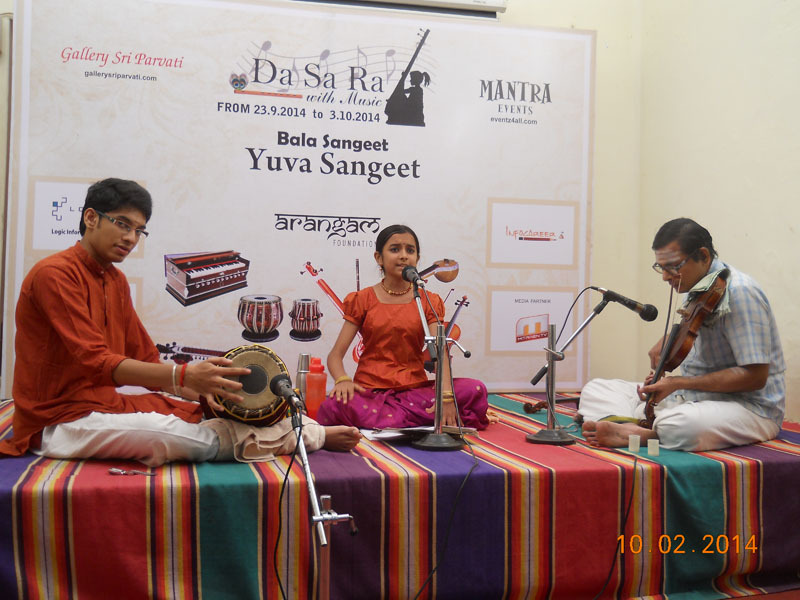 The Bala Sangeet took place from 5.00 pm to 6.00 pm while the Yuva Sangeet took place from 6.30 to 8.30.The event was organised by the Arangam Foundation along with Mantra Events. The online partner for the event was Yocee and the media partner was Mitraen TV. 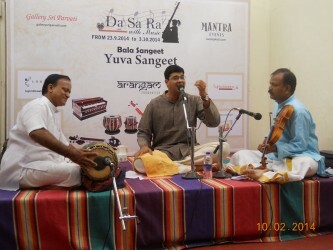 October 2nd saw L. Vaishnavi singing in the Bala Sangeet while Nikhil.S took part in the Yuva Sangeeth. Both vocalists awed the audience with their professional performance. L.Vaishnavi, 12, who is training under guru Lakshmi Krishnaswamy has been training in Carnatic vocal for the last 4 years. She has performed over 25 concerts and hopes to get a doctorate in music. Her accompanists for the evening were Ramakrishnan on the mridangam and Sri Suresh on the violin. 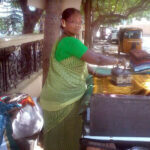 Nikhil.S, 25, who is training under C.R. Vaithirathar and S.P.Ramh has been a carnatic vocalist for 13 years. An up and coming artiste, he aspires to become a leading singer. 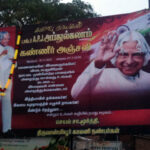 He was accompanied by Villivakkam Raghunathan on the violin.